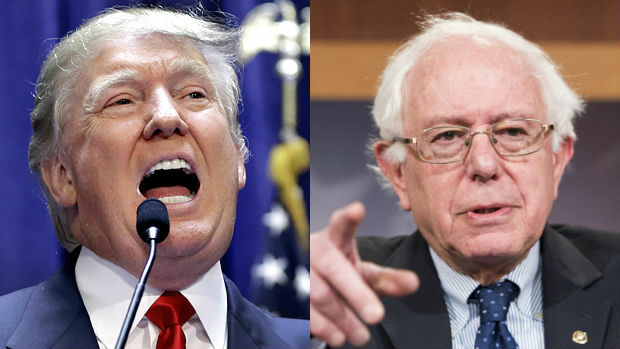 In a stunning development, Donald Trump has offered the second spot on a Trump ticket to Bernie Sanders, and Sanders has accepted. “This will be a coalition the likes of which we have never seen,” said Trump campaign manager Corrie Lewandowski on a break from his trial for battery. Indeed, some political pundits believe that by appealing to the entire IQ range of the anti-establishment vote, the Trump/Sanders ticket may be unbeatable. Many who have been turned off by Trump’s macho aggressiveness will find that Sanders provides a reassuring balance. According to a recent poll, most Trump supporters have never heard of Sanders. Moreover, the Sanders supporters the ticket will win over can be persuaded to help angry but confused Trump supporters find the polling stations. By now so few Republicans realize that Sanders, even more than Trump, represents the polar opposite of everything the GOP has stood for that little opposition to Sanders in the VP spot is expected at the convention. A spokesperson for the Clinton campaign said “Unbefuckinglieavable!” but declined to elaborate.